Is your child planning on going to college? If you answered yes, then just about the best thing you could ever do is enroll them in an SAT/ACT prep class. And that’s because these tests are not just essential for college entrance, they are instrumental in determining who gets the scholarships on offer. To get the best score you possibly can is crucially important because 85% of colleges award places and money based solely on your result. The higher the score—the more money you get! A college’s prestige and national rankings are based on test scores, so it’s as important for your student to go to a great school, as it is for the college to attract the best students. Have you investigated their background and read independent reviews about their claims as well as the overall satisfaction from past participants? Has the company won awards or been featured favorably in the media? Hint: The best ones win industry awards, are featured in the media and have hundreds if not thousands of verifiable, authentic (and even dazzling) reviews. Can you rely on the experience of the teachers? Don’t just believe the hype. Be willing to ask what college the teachers attended and what test score they received. Hint: Some unscrupulous companies have been caught boasting their teachers come from top colleges when in fact, on occasion this has been untrue. What materials will be used for the students to practice with? Ask whether the company administers real diagnostic tests with questions from either the College Board or American College Test. Most companies use tests created by their own company. These fake tests are not reliable and are irrelevant to the real SAT, PSAT/NMSQT and ACT. Rarely do these tests help students learn the logic and recurring patterns that can only be found on actual tests. 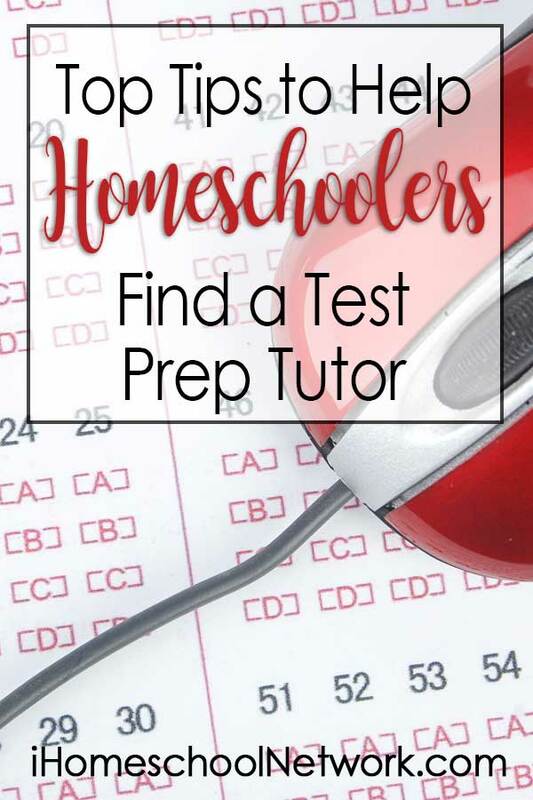 So, if you are going to the trouble of getting test-prep help, make sure the company you choose, uses reliable materials. Check if they teach high school content and ask if the students will need to learn more math concepts and lists upon lists of vocabulary words. One thing that surprises most people is that the SAT and similar tests are not actually testing your high school knowledge. You will be required to answer questions that are based on the familiar concepts of high school lessons, but are really testing your critical thinking, logic and ability to get through as many of the large number of questions as you can. Many programs emphasize learning high school content, the need to memorize thousands of vocabulary words, and focus on math concepts. If this were helpful, then everyone with a GPA of 4.0 would automatically scoop all the best scholarships. Hint: While you cannot study content for these tests, you can prepare yourself by learning the recurring patterns in the tests themselves, and how you can answer questions in 30 seconds or less. What exactly does their guarantee entail? I could sum this one up easily: Check the fine print! The operators of many of the expensive courses offer a money-back guarantee if a student’s score doesn’t improve beyond a certain range. While this sounds like a great deal in principle, it may not be easy to make a claim. To qualify, your student will most likely have to attend every single class and turn in every single bit of homework. And that’s where they’ll sting you because there is usually so much work that most students simply cannot complete it because of their already busy schedules. There are also prep schools that give the student an initial diagnostic test and then have them retake another one when they are finished with the course. Beware that the tests themselves could be skewed in the company’s favor: The initial “diagnostic” test could be very difficult and the one at the end, much more simple. This often happens when the company devises their own tests instead of using material from say, the College Board. Also, some high schools that contract with these schools are given special versions of the course and often don’t offer a guarantee. Hint: Know how your investment is protected. Why do some students receive free classes from companies while most parents pay the big bucks for the class? Here’s a ploy you really need to be aware of: Some expensive test-prep companies purchase PSAT/NMSQT scores of certain zip codes to find those sophomore students who already score high naturally. They then offer them free classes at their school—which is great for those students, but leaves everyone else to pay the full price. Sounds harmless enough. However, those students with free tuition score are already likely to score highly on their next tests. So, rather than proving that the test-prep was of great benefit to the student, the overall statistics of the prep course are artificially inflated. Hint: You might want to be curious about how the company awards free tuition. You might also want to choose a school that does not get any financial incentive from the test-prep company (by receiving a kickback). You would be justified in asking where that money is coming from and why only an elite group of students stands to benefit. No matter which test prep course you enroll in, and no matter how much it costs, it is like a gym membership: If you don’t do the work then it just adds up to a pile of wasted money! It is however, reassuring to know this: The SAT, PSAT and ACT are tests of logic and critical-thinking and are tests that can be beaten. There is a wrong way to approach the preparation and there is the correct way. When you do it right, the rewards will follow and your child will find it far easier to succeed. There are reputable programs that cut to the chase and teach the right information to help many students reach test success, regardless of their economic situation. To excel in sports, an athlete must practice to win a game. Standardized tests are really just like games. And when you learn to play the right way—you can win, bigtime! If you’d like to know the best and most cost-effective way for your student to ‘win’ at the SAT (or any other standardized test) then check out www.CollegePrepGenius.com. Jean Burk created the highly successful enterprise after her own homeschooled kids used her tried and tested strategies and won bucket loads full of college offers, and never paid a dime for the tertiary education! Jean Burk is the author of College Prep Genius and is a Fox news contributor who has been featured on many TV networks, radio shows and magazines. Both her children were homeschooled and earned incredible scholarships including free college, free grad school and free law school because of their standardized test scores. To learn how to ace the New SAT/PSAT as well as read testimonials of students who raised their tests scores from 300-600 points and received incredible scholarships, visit www.collegeprepgenius.com. College Prep Genius has been featured on NBC, Fox, WE, CBS, ABC, ION, Forbes Living TV, UShop TV, TXA21, CW33, & The Homeschool Channel. To find out more information, contact Jean Burk at 81-SAT-2-PREP, info@collegeprepgenius.com.